The Big Lebowski was a crime comedy film in 1998. It stars Jeff Bridges who plays the role of Jeffrey “The Dude” Lebowski, a middle-aged passionate bowler that is also a slacker and unemployed. The plot of the movie centers on two hired goons attacking The Dude at his home and demanding money that he owes. Then, they realize he is not the Jeffrey Lebowski that they are seeking but the wealthier Jeffrey “Big” Lebowski. The Dude tried to seek compensation from the Big Lebowski but was refused until the latter needed the help of The Dude. The movie is a big success as both critics and audiences liked it. 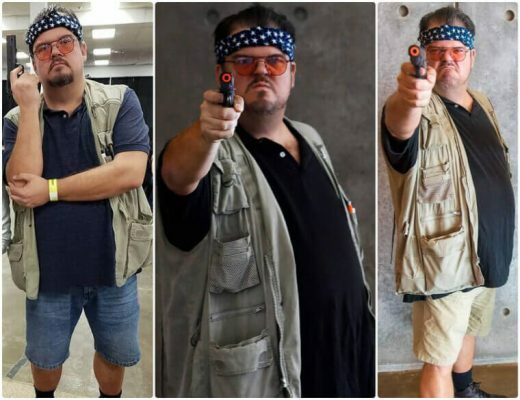 It also makes Jeffrey “The Dude” Lebowski a good option for people to dress up as during costume parties, photo shoots, or comic and movie conventions. 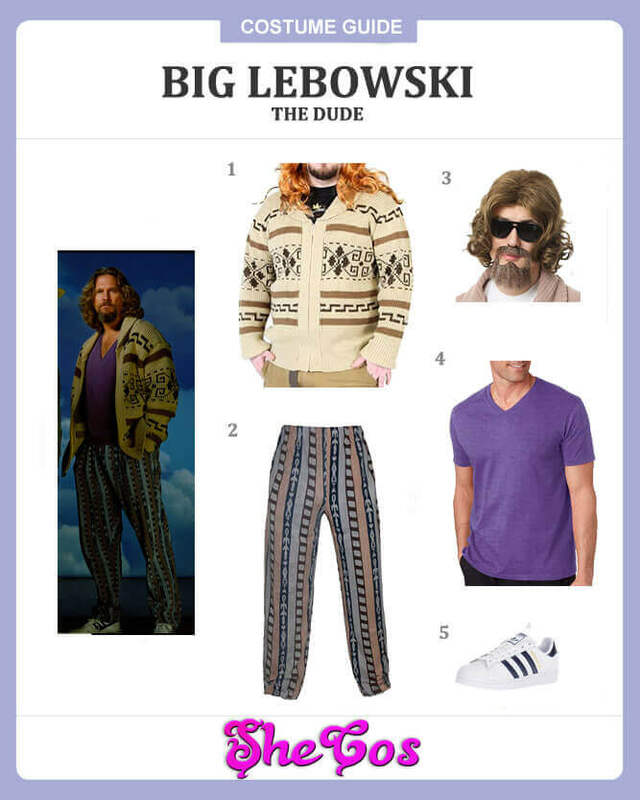 This article is The Big Lebowski costume guide. Jeffrey “The Dude” Lebowski is the main character of the movie The Big Lebowski. He is an unemployed slacker who lives in Los Angeles. He is also passionate about bowling and would usually spend a lot of time in bowling alleys playing with his friends. As the main character of the movie, the Dude is often the first choice of people looking to dress up as characters from The Big Lebowski. And his appearance is not that hard to pull off since he is a slacker. 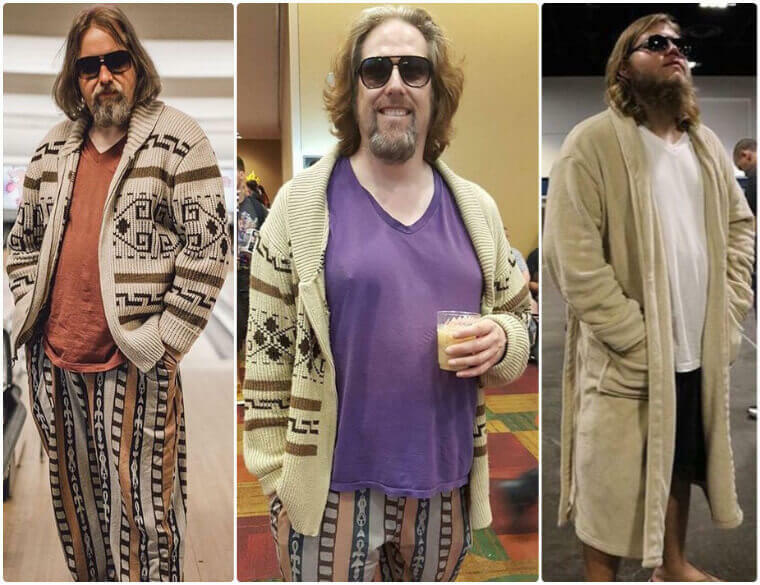 This Big Lebowski costume guide will feature his usual outfit, which consists of a purple t-shirt, The Dude’s iconic loose pants, and his iconic sweater. 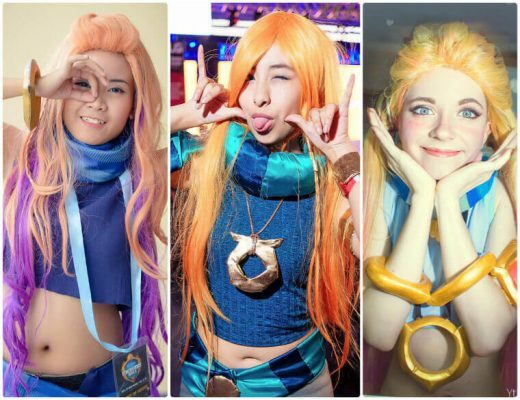 The cosplay set also comes with white rubber shoes and a short brown messy wig for The Dude’s hairstyle. A brown beard is also included in the list for the character’s facial hair. Jeffrey “The Dude” Lebowski is an unemployed slacker who is also an avid bowler. As a slacker, The Dude doesn’t care much about what he wears whenever he goes out. He has this usual outfit that consists of a t-shirt, loose pants, and a sweater. But that’s not his only iconic outfit, as The Dude also goes out or plays bowling wearing only a t-shirt, sleeper shorts, and a bathrobe. To add some flair to his attire, he also wears sunglasses. 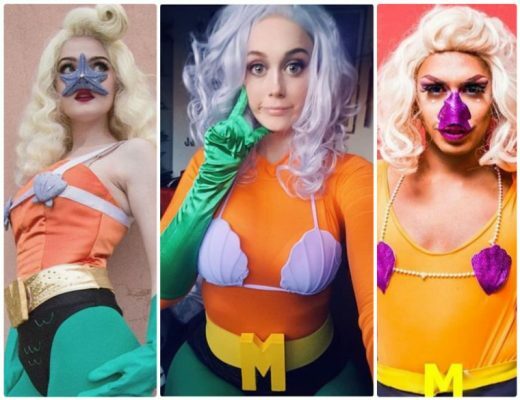 Talk about being a slacker and dressing the part as well. 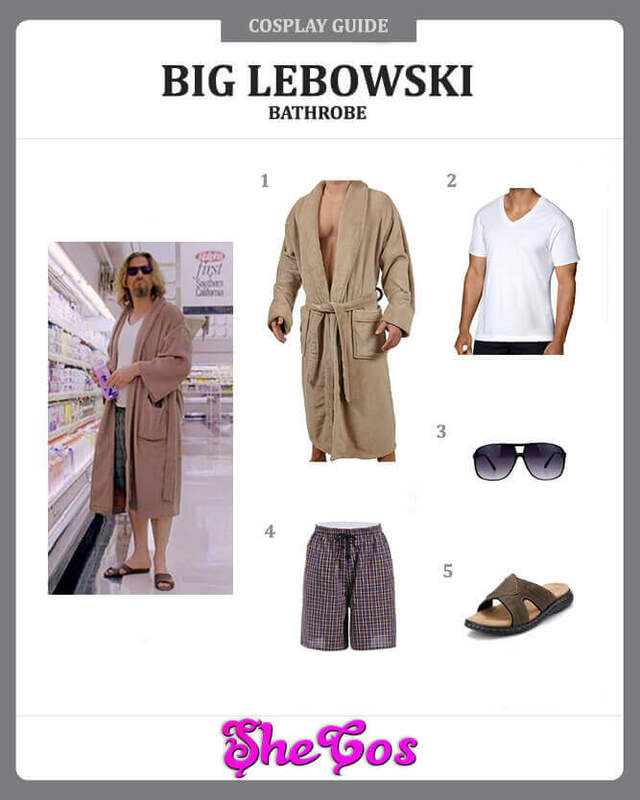 Now, this the Dude costume guide will feature his bathrobe costume. It consists of a white t-shirt with sleeper shorts and brown toe sandals. The cosplay set also comes with black sunglasses and The Dude’s iconic skin tone bathrobe to complete the look. As a middle-aged unemployed slacker, Jeffery The Dude Lebowski is not shy to dress the part. His usual outfit has him looking like a relaxed individual who doesn’t have a care in the world, except to play bowling and smoke cannabis. Heck, he even goes to the store or plays bowling wearing only a shirt, shorts, and his bathrobe. Despite being a slacker, The Dude claims that he has done a lot, being a member of the Seattle Seven and worked on the original Port Huron Statement. Being unemployed doesn’t bother him since he is not that concerned with money. It is evident when he didn’t even think about stealing the cash the Big Lebowski gave him to give to the kidnappers. His outfit may not seem much, but a lot of people go for his look since it depicts someone who doesn’t have a care in this world. Just take a look at the Big Lebowski cosplay photo, and you can see a relaxed individual who doesn’t care.